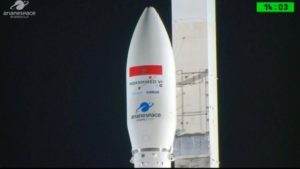 Morocco has reinforced its earth observation capabilities with the launch of a second satellite, baptized Mohammed VI-B, on Wednesday from the Kourou space center in Guiana. 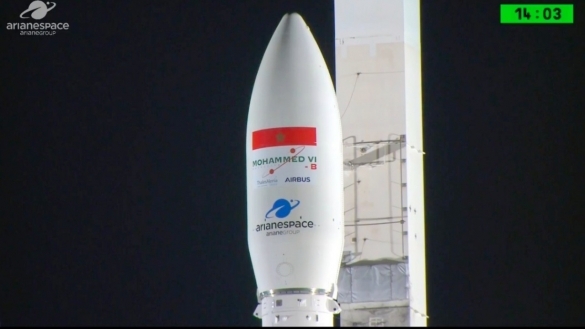 The satellite was launched by European Arianespace company which operates the Vego rockets that successfully delivered the Moroccan satellite into orbit. Moroccan officials said the satellite will be used for the purposes of mapping, land surveillance, agricultural monitoring, the prevention and management of natural disasters, monitoring changes in the environment and desertification. The space imagery, operated from Morocco, will play a key role in the implementation of national strategies for socio-economic development, especially those relating to the agricultural sector, which constitutes one of the main pillars of the Moroccan economy. The civilian satellite, piloted from Morocco, is capable of taking images in less than 24 hours with a resolution of up to 70 cm. Morocco launched its first high-resolution surveillance satellite Mohammed VI-A in November last year making it one of the few countries in Africa and the Mediterranean to have such a technology. Posted by Khalid Al Mouahidi on November 21, 2018. Filed under Columns, News, Zoom. You can follow any responses to this entry through the RSS 2.0. Both comments and pings are currently closed.